Manchester City’s Carlos Tevez scores his side’s fourth goal of the game against Wolves at Eastlands. Blackburn Rovers’ Mame Diouf and Chelsea’s Branislav Ivanovic battle for the ball. Arsenal’s Robin van Persie scores his team’s third goal againt West Ham, from the penalty spot. Arsenal won 3-0 to maintain their title challenge. 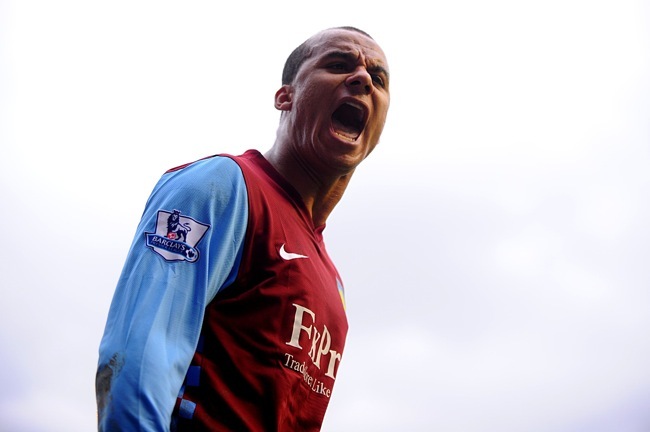 Aston Villa’s Gabriel Agbonlahor is well up for the fight against local rivals Birmingham on Sunday lunchtime. Newcastle United players celebrate in front of their ecstatic fans after Kevin Nolan scores the opening goal against local rivals Sunderland. But a late Asamoah Gyan goal saved a point – and some pride – for Steve Bruce’s side. Sunderland’s Titus Bramble clashes with Newcastle United’s Alan Smith during the North-East derby at the Stadium of Light. Sunderland’s Phil Bardsley tackles Newcastle United’s Jose Enrique. 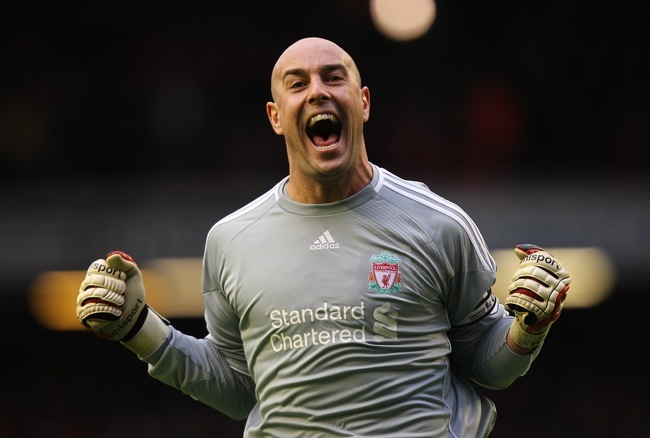 Liverpool goalkeeper Pepe Reina celebrates after team-mate Raul Meireles scores the first goal of the Merseyside derby. The game ended 2-2. 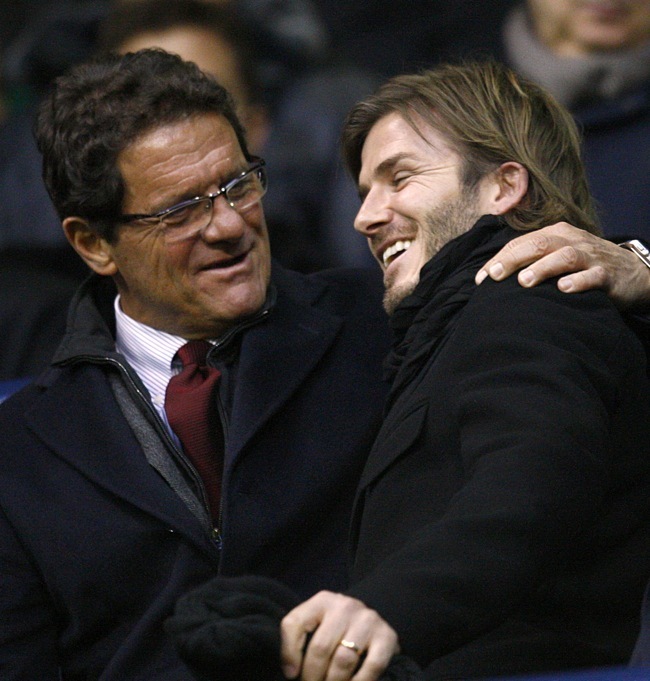 England manager Fabio Capello chats with David Beckham at White Hart Lane, ahead of Tottenham’s 1-1 draw against undefeated Man Utd. Tottenham Hotspur’s Rafael Van der Vaart is brought down to earth by Manchester United left-back Patrice Evra. @ Andrew – PA got the caption wrong. Changed now, thanks. …The Spurs Man U game was 0-0 too, not 1-1. Why is that fat Geordie (bottom right hand corner)holding aloft his training shoe?